A couple of weeks ago, on the night of its premiere, I wrote the blog Please, Fairy Godmother… Please Make “Once Upon a Time” a Mega Hit! On Thursday, ABC announced that it was ordering a full season pick up of the new fairy tale drama, which means 9 additional episodes to their original order of 13. Why do I care so much? As the dialogue editor for the show, that means 9 more paychecks. And if it truly is a mega hit, I may have 22 weeks of pay for years to come. Since my last show Brothers & Sisters was cancelled last May, my mind has been going to some very dark places. Unemployment is only available for 26 weeks, and if I didn’t get another show, those dark places could quickly become a reality. Selling my kids into slavery. But now I can count on some regular paychecks. Well, as long as I keep turning my show in on time and well edited. And also as long as the higher-ups on Once Upon a Time (basically everyone higher than I am) don’t get annoyed that a lacky like myself is incessantly chatting about their hit show on her mommy blog. I can stop calling peanut butter the other white meat. We can finally add some lovely Spam to our dinner. Not every night. But some nights. Feed my dogs instead of eat my dogs. Their growling stomachs were really bugging me, and frankly, these mutts don’t have a lot of meat on their bones to nibble on. My 2012 wardrobe will not completely consist of my 10-year old’s rejected hand-me-downs from her classmate. I’m so glad Mary Belle’s friend is out of the High School Musical phase. I was feeling like one of those pathetic moms that dresses like her teenage daughter and truly believes it when people tell her they look like sisters. I can stop filling my Arrowhead water bottles from my neighbor’s hose. I dodged a bullet by never getting caught. Maybe I should make them a quiche to ease my guilty thieving conscience. A Spam quiche. I’ll donate blood for free. Platelets, however are too lucrative to give away. I can stop making my kids reuse their dental floss (no wonder they hate to floss). We won’t be living in a cardboard box on an off ramp. Actually my plan was to create a home out of cardboard boxes from IKEA. I figured that it would be easier to put together than their furniture. I can start buying my kids’ friends real birthday presents instead of just recycling the gifts they gave to my kids. It’s really embarrassing when I find out the hard way that there’s a personalized message in the book that was given. I can stop googling “earn money” “black market” and “kidney” together in advanced search mode. But shoot… I could have made a bundle of money. But my kidneys are getting a little old and tired. Too bad my daughter Emily’s got type 1 diabetes. They probably don’t want hers either. I can keep posting blogs on Sundays (those are the days that public libraries – and hence computers and the internet – are closed). Otherwise, it would take me about two days to text these ramblings via cell phone. Also, Verizon would have cut my service by then anyway for lack of payment. Ok… so I’m exaggerating a little. But in my head, I really was living in a box on an off ramp, filtering leftover German Shepherd with my single kidney. Next – The 10 Luxuries I Can Afford When I Win Lotto. #1 – Spam every day! 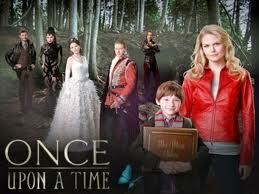 Episode #3 of Once Upon a Time airs tonight at 8:00 pm on ABC. Please watch.